We, the people of South Africa, are suffering from the tariffs of Eskom. Electricity prices are increasing every three years. This process is called a “multiple year pricing determination.” Eskom started borrowing money from the World Bank and others as a loan. We, the poor and working class, are the ones who are going to pay the interest through the rising prices. In 1994 we thought that we had access to everything in South Africa – housing, electricity, service delivery, health care – but that was wishful thinking. The construction of the new Khusile and Medupi coal-fired power stations showed the working class people that a dangerous situation was developing in South Africa. 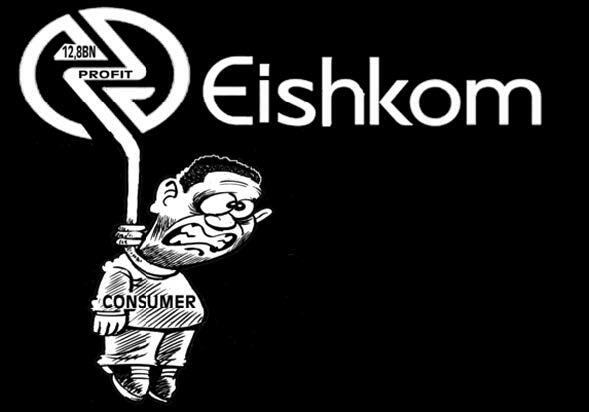 Eskom’s hiking tariffs will not be avoided. The South African government also plans to introduce additional nuclear stations in the next twenty years. Some feel that this may cause illness, be harmful to future generations, and be potentially dangerous in other way. But in any case, nuclear will create far fewer jobs than renewable power. We, the working class people, want renewable energy because it is cheaper than coal power, and will create thousands of new and sustainable jobs. Renewable energy is people’s power because many people will have opportunities by working in building solar panels, solar geysers and living a healthy lifestyle. The government is ignoring climate change problems, and the potential risks to human life that follow from coal and nuclear technology. But it is important also that if more power stations are built, these need to be democratically accountable, and not just used to strengthen the ruling class – instead, to meet the needs of us, as the working class. Next ›Anarchists in Egypt, will the real Black Bloc please stand up?